Last Sunday the NY Times published an opinion piece in response to this past years’ focus on international parenting techniques. The unifying factor of many of these practices is helping children learn self-control and self-discipline. 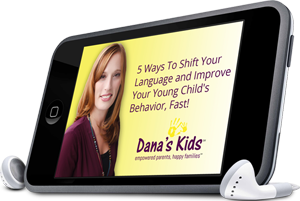 Throughout my blog posts and workshops you will find that I repeatedly emphasize the important of positive discipline that leads to self-discipline, specific praise that reinforces appropriate behavior and self control, as well as providing children with the opportunity and skills to make their needs known. The article reiterates these ideas and explains that this does not have to be done with adult pressure but rather adult presence, reflection and recognition of a child’s interests, and acknowledgement of desired behavior. Internal motivation is key. Modeling how to express ones self and ones emotions, as well as using play, are positive ways to create teachable moments that don’t have adults hovering, or shoving concepts and rules down children’s throats. This is not the way we manage or teach adults and it is not the way we should with children either. Throughout our days with children there are opportunities for them to work on self-control, social skills, and self-esteem. Help them take advantage of these times and practice these skills. You, your child, and the world around us will benefit. This entry was posted in behavior, developmentally appropriate, discipline, NY Times article, parenting, parenting style, play, positive discipline, response to NY Times, self-control, self-help skills, teachable moments, Uncategorized and tagged adult modeling, Building Self-Control the American Way, expressing emotions, parenting, self-control, self-discipline, specific praise, teachable moments. Bookmark the permalink.